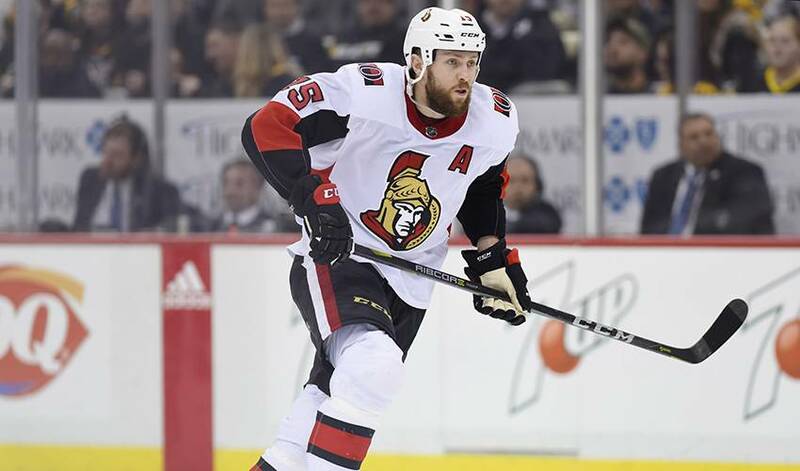 OTTAWA — After a tumultuous 48 hours, Zack Smith is ready to prove he's still an asset to the Ottawa Senators. Senators general manager Pierre Dorion told Smith Tuesday morning he was being put on waivers based on performance. The veteran forward wasn't claimed and was back on the ice with teammates Thursday, saying he went through a rough couple of days. "I ran the course on the emotions," Smith said. "Disbelief first, then denial, anger. It kind of flooded through me all at once. It was hard to grasp. No one wants to go through that situation. You question your worth and your ability to play hockey. "To come in and play two exhibition games and be told I'm going on waivers because it was a performance issue was tough because I had put last year behind me and talking to the coaches they did too. It was a fresh start, so it was frustrating." In an interview with TSN Thursday morning, Dorion, who did not speak publicly about the move, said, "it was probably the toughest discussion I have ever had with a player." Smith is the longest serving member of the Senators and well respected by teammates, who quickly voiced their displeasure at the move. "I'll be honest, it's a kick in the balls for us," said Matt Duchene Tuesday after learning Smith was placed on waivers. Player support from his teammates and those around the league helped softened the blow. "Sitting at home on the couch and reading some text messages and different stuff from guys around the league and players it kind of choked me up a couple of times that guys in the room value me and, you know, that was the humbling part too," Smith said. "It was very cool to see the support from the players and the coaches too." Smith, who has three years at US$3.25 million left on his deal, scored five goals and 19 points last season, and admits it was his worst season as a professional. "I know I have to be better," Smith said. "From this point forward it's on me. I told them at the end of last year in the exit meetings that if I'm back next year I promise I'll be better so that's what I want to do. "I had two days to try and make sense of it. At this point I'm over it, I'm ready to move forward. Guys came in and were very supportive and said some really nice things to lift the spirits and make me feel like a hockey player again." While he was happy to remain with the Senators, not being claimed was also somewhat disheartening. "It stung the pride a bit," admitted Smith. "I spent a little time feeling sorry for myself (Wednesday)." Smith won't have long to wait to prove his worth as he will play between Mark Stone and Brady Tkachuk Thursday night in a pre-season game against Chicago. Senators head coach Guy Boucher said he's glad he'll still have Smith at his disposal, adding the forward is a valuable asset. "He's a hard working forward, a gritty guy, which we don't have a lot of on our team so he's kind of a rarity in that sense so we just want him to bring his rarity and what he's great at," said Boucher. Boucher said Tkachuk, who also plays a tough style, could benefit from Smith's leadership. After finishing second last in 2017-18, Boucher says Smith is hardly alone in needing to be better. "Like everybody last year we all want to be better and I'm putting myself in that," said Boucher. "So whether it's me or Smitty or anybody else on our team we want to be better at what we're good at. That's it. That's the message whether it's for Smitty, for me or for anybody on our team." Notes: Mike Condon will play the full game against Chicago. The Senators have one exhibition game remaining Saturday against the Montreal Canadiens before they open the regular season next Thursday against Chicago.